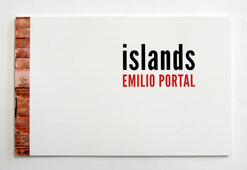 Summary / KeywordsOn May 14, 2012, Emilio Portal (Toronto) began the installation of islands in the gallery. islands was an ongoing performance that honoured the Lekwungen peoples of Vancouver Island. Through a series of creative acts, Portal performed a respect to the land and the remnants of history that lie underneath.